I just wanted to take a minute out of my day to tell you how incredibly grateful I am that you asked me to do your simple newborn portraits. Because these moments sneak by in a flash, I know the tenderness of this session and how important these moments are to you. I am so glad that you brought your little one’s grandmother to your portrait session. These images are priceless and just stunning. Thank you from the bottom of my heart for letting me play such an integral role in your life at these very moments. Since being a mother myself, I also love to remind you (and myself often, also) to enjoy these late nights. Enjoy these tender quiet moments with your babies. They will not be like this forever, and just cherish them while they are here. I know it gets rough, but embrace those moments, too. I am so happy for you. Because I love documenting the simple life, the every day, and all things in between, I try and incorporate that into my sessions. With foliage from the local trees, to fresh flowers, to just the softness of your newborn’s skin, these are things I want to document. I am so grateful to all of my clients for trusting my vision and seeing the art that newborn photography really is. 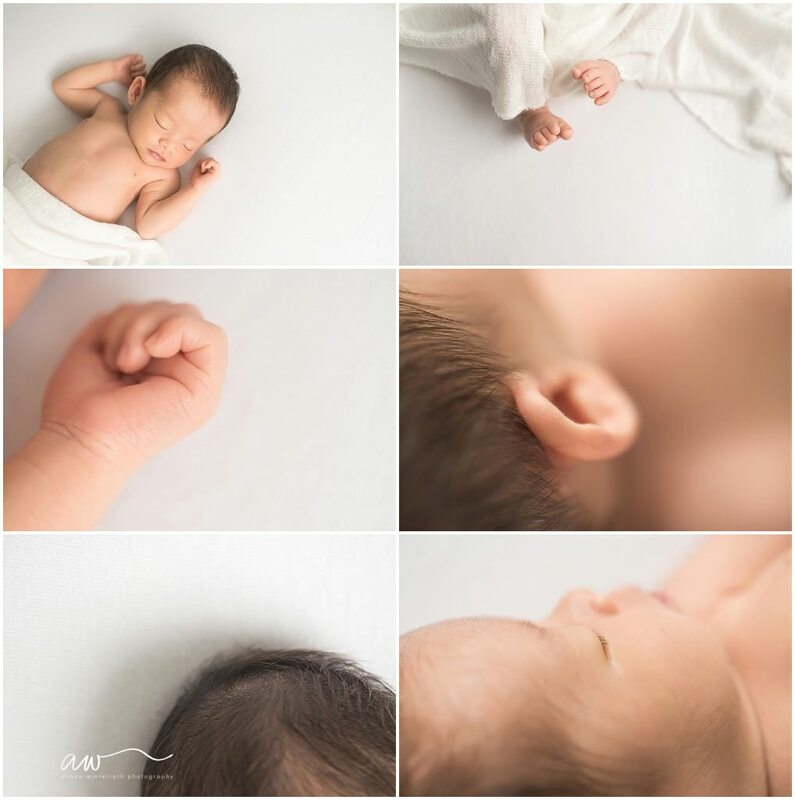 Be sure to keep scrolling for highlights from this perfect simple newborn photography session!